For decades, Toronto has been demolishing buildings with historical significance. 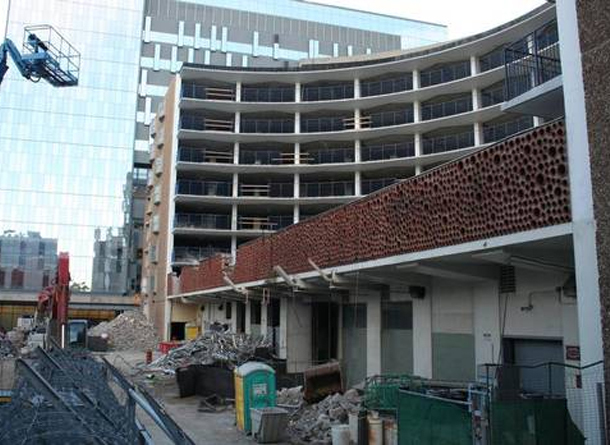 The latest travesty which was well publicized in 2012 was the demolition of 81 Wellesley East. The Globe’s ‘architourist’ Dave Leblanc recently wrote an interesting piece called, “An era’s buildings face the wrecking ball” on Toronto’s historical societies as well as on the organization ‘Modernism at Risk’. One of the reasons this is important is because between 1945 and 1975, many Victorian buildings were torn down and now the buildings that replaced them face the same threat. Its simply because they weren’t built on the scale that we’re now used to seeing. From October 8 to 13, there will be the Knoll/WMF Modernism at Risk exhibit at George Brown and I encourage you to visit and take a look to see what other cities are doing to preserve their heritage.